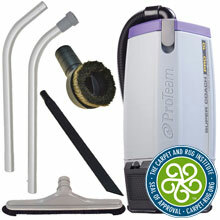 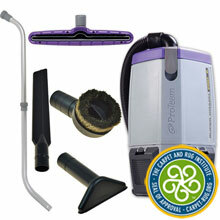 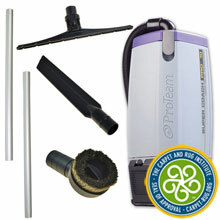 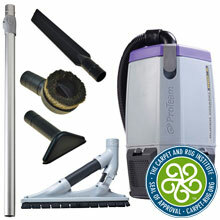 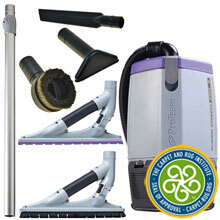 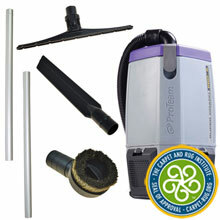 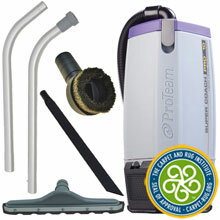 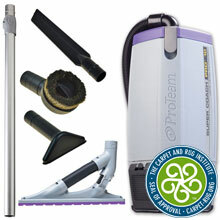 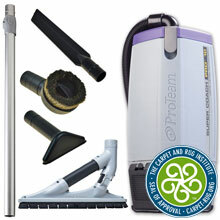 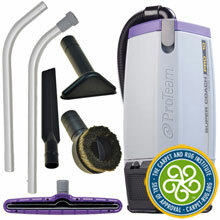 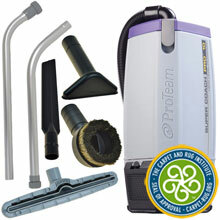 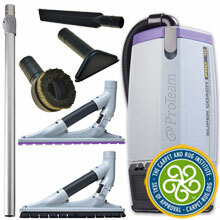 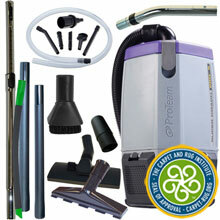 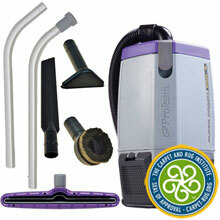 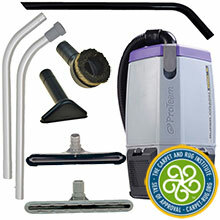 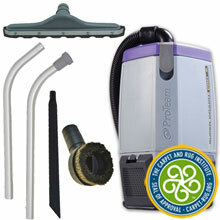 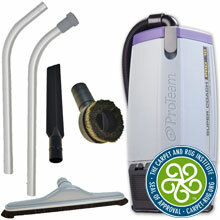 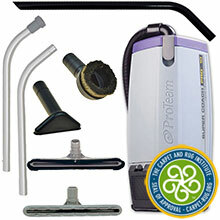 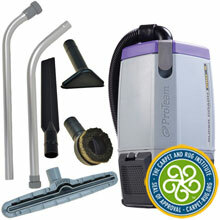 Pro-Team Super Coach Pro Backpack Vacuums 6 & 10 quart are the next generation in cleaning comfort. 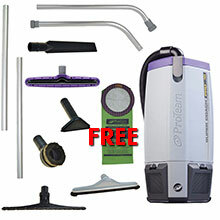 Ergonomic backpack design with patent pending FlexFit articulating harness increases range of motion, reduces fatigue, and improves productivity. 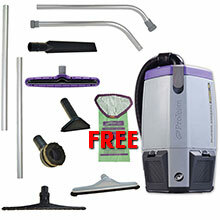 New triangular shape fits closer to the body and moves with the user, reducing the chance of bumping into doorways, walls, or furniture.